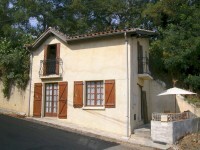 This beautiful house of 300m2 habitable space, is situated at the end of a small town with . . . If you are looking for a peaceful retreat, this cosy cottage is for you. There are no near . . .